In the framework of seismic design of structures, response spectrum analysis (RSA) is the most commonly used approach in practice. 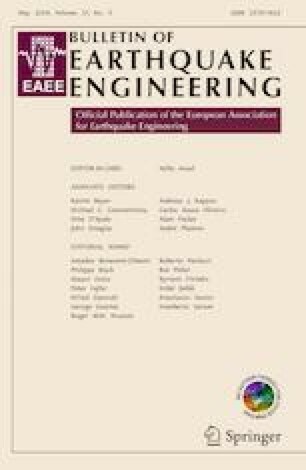 The most popular combination rule is the complete quadratic combination (CQC) which is also prescribed by the most of seismic design codes and is based on the assumptions that the seismic acceleration is a white noise process and the peak factor ratios associated to the total and modal responses are unitary. Recently, the damping adjusted combination (DAC) rule has been developed for base-isolated structures to overcome the aforementioned simplified assumptions. Although it has been proved that the simplifications about peak factors lead to noticeable errors in the case of base-isolated structures, the accuracy gain of DAC with respect to CQC in the case of fixed-base structures is still unknown. Therefore, the paper presents an in-depth study on the RSA of three-dimensional frame structures, aimed to evaluate the accuracy of the above methods. Two reference classes of frame structures having different degree of complexity are considered. Average interstorey drift and floor torsion responses, obtained from a set of Time History Analyses are compared with those of the modal combination rules. Lognormal joint probability density functions of the predictive errors from CQC and DAC are finally evaluated for a reliability assessment of the two combination rules under bidirectional seismic excitations.